The pure wool fabric is soft and natural, and has a good warmth effect. It is the fabric of choice for making high-end suits and coats. But now there are more and more wool-like fabrics. With the improvement of textile technology, it has reached the level that most customers can't identify, but the color, warmth, and feel are far less than pure wool fabrics. Here are a few ways to identify Wool Suiting Fabric for your reference when choosing clothing and fabrics. Pure wool fabrics are usually smooth and smooth, and the long-haired fabrics are smooth and smooth, and have a tingling sensation on the hair. Blended or purified fiber, some are not soft, some are too soft and loose, and have a sticky feeling. The color of the pure wool fabric is natural and soft, bright and without old feeling. In contrast, blended or purified fiber materials, or darker, or flashy. Tighten the object by hand and then let go immediately to see the fabric elasticity. The pure wool fabric has a high rebound rate and can be quickly restored to its original state, while the blended or chemical fiber products have poor wrinkle resistance, and most of them have obvious wrinkles or slow recovery. Take a bunch of yarn and burn it with fire. The smell of pure wool fiber is like burning hair. The smell of chemical fiber fabric is like burning plastic. The harder the particles after burning, the more chemical fiber components are present. The hair of all animals is scaly under the microscope. If it is a long-wool fabric, it will move up or down as long as a picture is taken. If it is a common fabric, take a yarn and cut it. Two pieces of 2 cm are split into one piece of fiber and placed in the palm of your hand for four or five times to see if they will move. 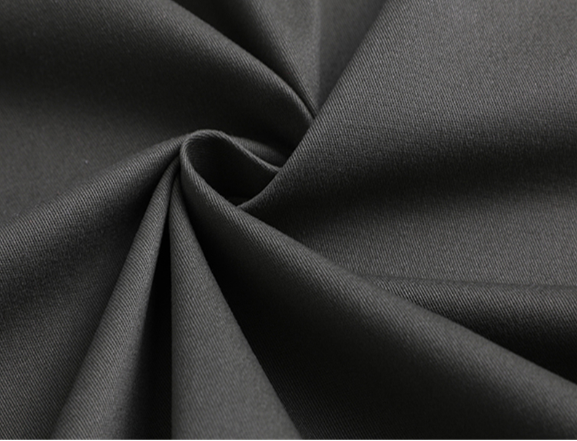 We also have Worsted Wool Suiting Fabric, if you want to know more about fabrics, you can contact us. Next: What Fabrics Are Best For Business Suiting Fabrics?